Theses states are enjoying a sellers market, but what does it mean as a whole? With the passage of legalized cannabis in Colorado, Denver property values have soared. Investors in real estate and homeowners are enjoying a sellers market, but what does it mean for the state as a whole? For commercial real estate, it boils down to what the incoming businesses are willing to spend to get that perfect location. Or in some cases, how much property owners can squeeze out of them before they would rather relocate. For many canna-businesses leasing space in Colorado, they are paying far more than their neighbors for a comparable real estate, simply because property owners know they can afford it. Warehouse spaces once thought of as a bad investment in a down economy are suddenly being snapped up by wealthy investors and hedge funds, looking to make a mint. The average home price in Denver is up to $350,000, and in March, Denver had the second-largest jump in annual home prices at 10%, trailing only San Francisco. That’s great if you are selling, but for those looking to move to the area, especially those moving for medical access or jobs in the booming industry, having that kind of price hike puts a pinch in the wallet. Others moving into the area for reasons outside of cannabis are even more furious about the effect on the housing market. Despite the rise in price, vacancies and unemployment are down. 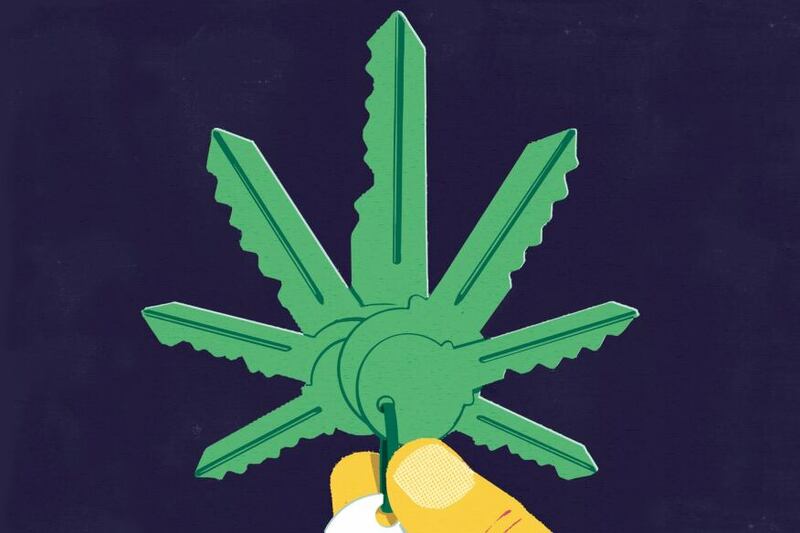 Despite the legality of adult recreational use, many landlords and property managers still forbid cannabis use or even possession on their property. What this does for renters essentially is put cannabis use in the category of a luxury reserved for those wealthy enough to own their own home. Cannabis possession can also violate loan agreements and insurance clauses, leaving even homeowners out in the cold if something happens. Some properties are even experiencing anti-marijuana prejudice, according to J.P. Speers, an agent at ‎Berkshire Hathaway Home Services. The influx of residents isn’t just because of jobs directly in the industry. With the complex needs of grow operations and dispensaries, electricians are in huge demand, as well as any other service or skill of use to the industry. Lawyers, tax specialists, marketing experts, security guards, plumbers, carpenters, and even investors themselves all need places to live. The only thing that many believe is going to slow the migration down is other states legalizing cannabis. Once that happens, cannabis industry lovers from those areas won’t have to move to Colorado to reap the benefits. “We are going to continue to see an increase in population growth based on marijuana until other states start picking up recreational laws,” said Speers. Would you move to a legal recreational state right now if you could afford it? Are you in a legal state and ready to move out because of all the fuss? Share your thoughts on social media or in the comments section below.